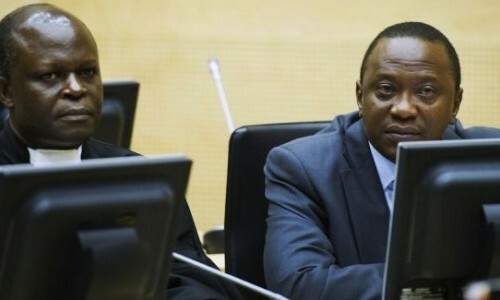 On Wednesday 5 February 2014, ICC Trial Chamber V(B) presided over a Status Conference in the case against Kenyan President Uhuru Kenyatta. The purpose of the Status Conference was to discuss matters regarding the Prosecution’s request for an adjournment of the trial commencement date and the Defence’s related request for termination of the proceedings, both of which have been the subject of a previous ICLB blog post. At the Status Conference, the Trial Chamber heard submissions from the Prosecution, the Defence and the Legal Representative of the Victims. A further hearing has been scheduled for 13 February 2014 in order to discuss the “Prosecution application for a finding of non-compliance pursuant to Article 87(7) of the Statute against the Government of Kenya”. The footage of the Status Conference is available here. See here for an NTV news report on the Status Conference.